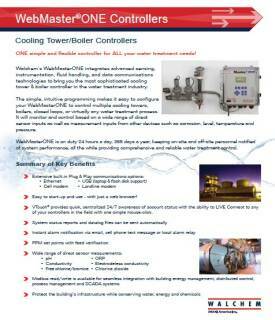 WebMaster is the most advanced online cooling tower and boiler controller in the water treatment industry. 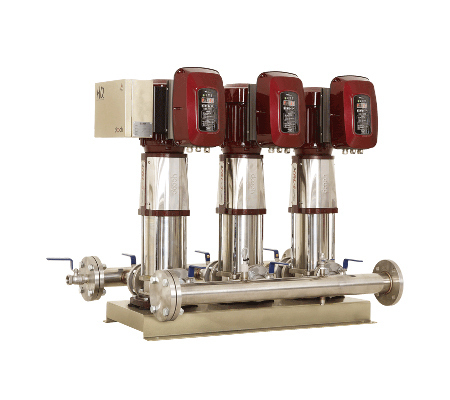 The flexible multi-I/O platform allows you to control multiple cooling towers, boilers, closed loops, and condensate lines with just one controller. 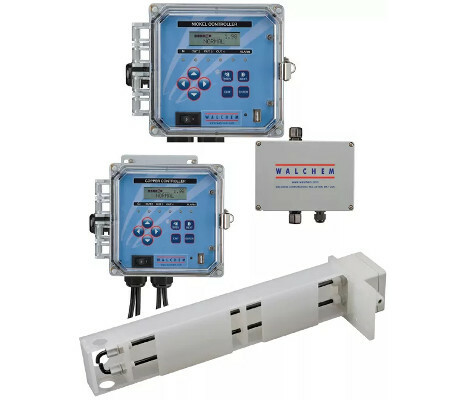 Walchem's WebMaster integrates advanced sensing, instrumentation, fluid handling, and data communication technologies to bring you the most sophisticated cooling tower & boiler controller in the water treatment industry. 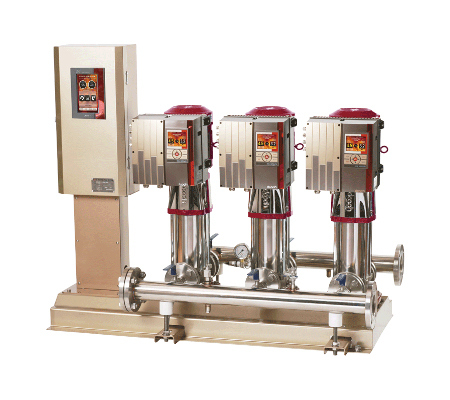 The simple, intuitive programming makes it easy to configure your WebMaster to control multiple cooling towers, boilers, closed loops, or virtually any water treatment process. 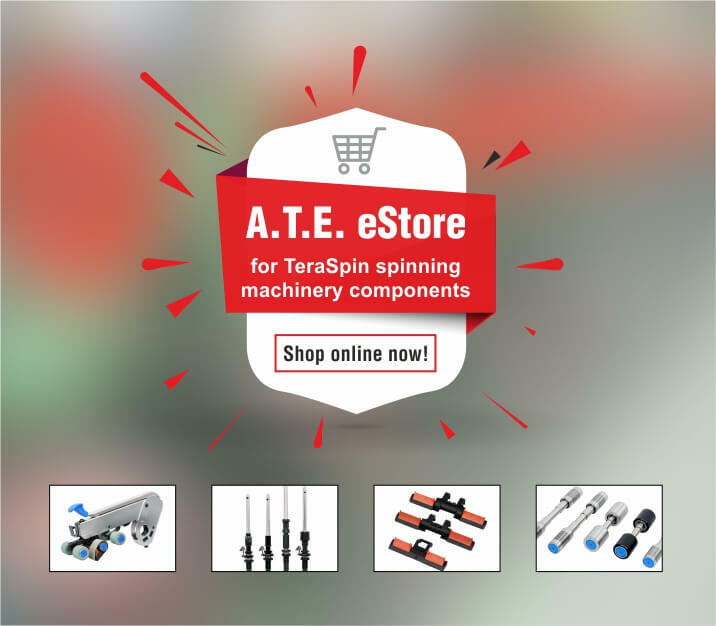 It will monitor and control based on a wide range of direct sensor inputs as well as measurement inputs from other devices such as corrosion, level, temperature, and pressure. 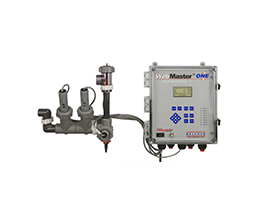 An extensive assortment of integrated communications and data handling features are included that enable water treatment professionals to provide more effective water management services to their customers. Easy to start-up and use - with just a web browser!